The Lao Health Service in the French colonial period. 1893-1953. 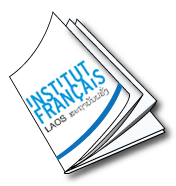 To date, there has been limited research on the Lao Health Service during the French colonial period. The speaker will outline key elements of the Health Service: its network of facilities, its staffing, the training of local staff, and the health services offered to rich and poor alike. Her findings, based on archival PhD research, challenge many assumptions about the Health Service during this period.